With today’s very fast-paced world and the busy lives that we lead, requires people to have a space that you can relax and unwind at the end of a stressful day. 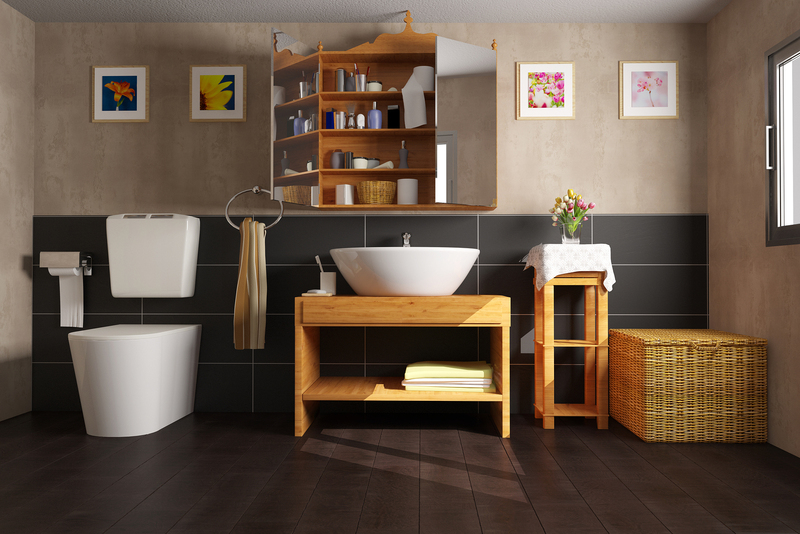 So making an effort to create a bathroom that you love and can truly relax in is definitely worth the investment. 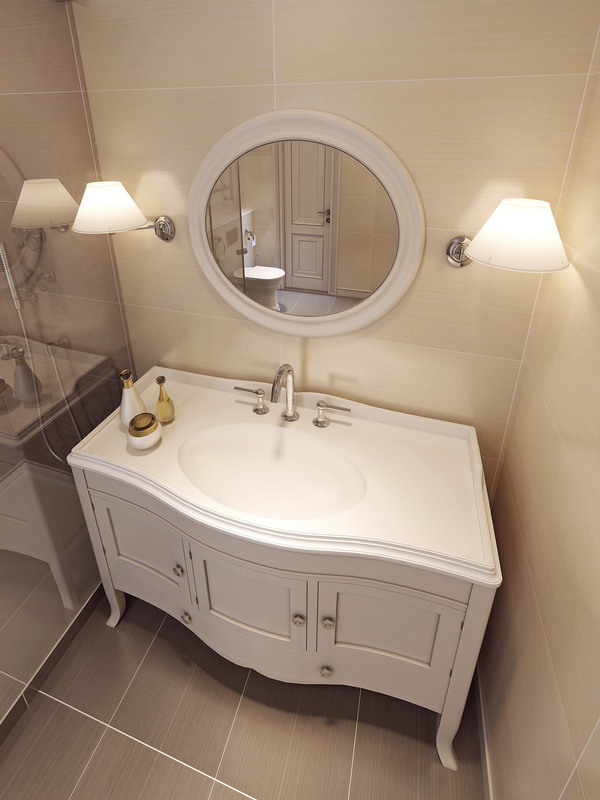 However, sometimes you just can’t afford that swanky and expensive washbasin vanity that you’ve been dreaming of having. There is a better and more affordable way to having that dream sink that you have dreamt of without having to completely having to break the bank for it. Turning old pieces of furniture, whether they are your own, or salvaged, into chic and lush vanities, has become quite a popular trend of late. Turning a piece of furniture into a bathroom washbasin vanity is a fairly simple job, as you can really use anything to hold your vessel sink or washbasin. 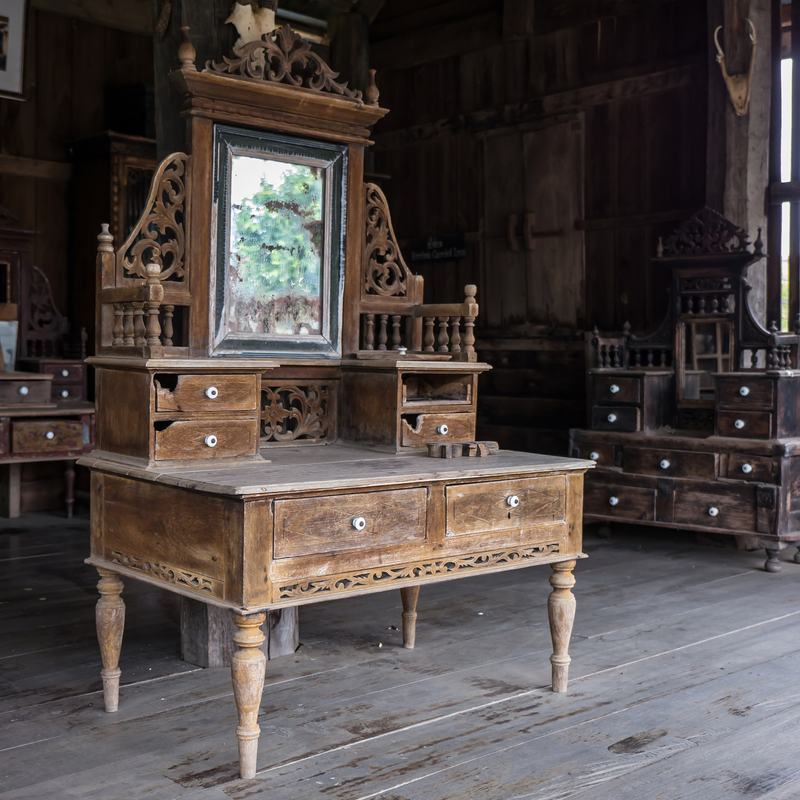 From old desks to farmhouse sideboards, to vintage dressing tables, and even antique buffet stands makes the options endless! This old dresser has been taken to new heights with a fresh coat of paint, and a brand new marble top, including a sink. You would never have guessed that it was once a rusted and tattered old broken dresser that had no design appeal left in it! 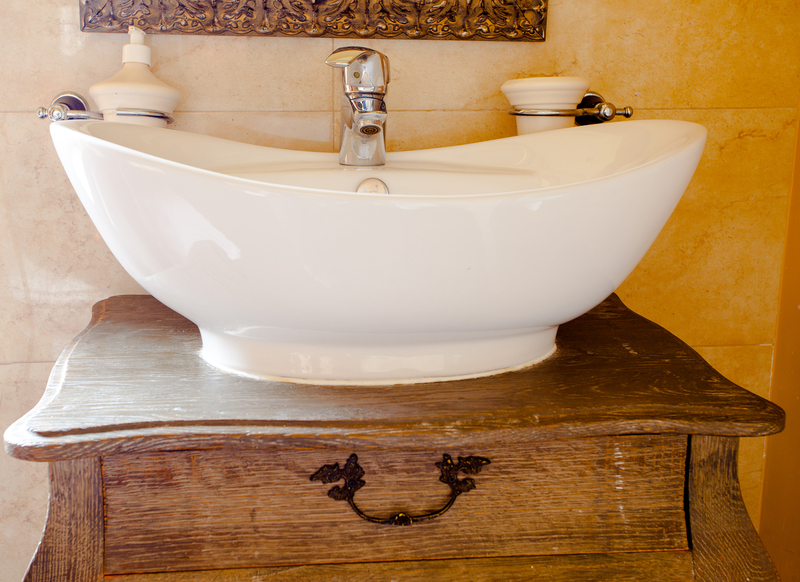 Getting your hands on a strong and sturdy chest of drawers that has a perfectly free top space to place a freestanding vessel sink will add a touch of old world charm to a bathroom, and at the same time give it an updated feel! You could paint it, varnish it, sand it and whitewash it - either way, it’s going to look fabulous, plus you'll have all those drawers for storage! Not all repurposed vanities have to look antique and old, you can take an old piece of furniture and sand it down completely, give it a new coat of varnish and you'll instantly have a newer looking vanity! Take a simple open writing desk like the one above, and upgrade it with a fresh new look and a vessel sink. You can still work and old piece of furniture into a modern vanity.